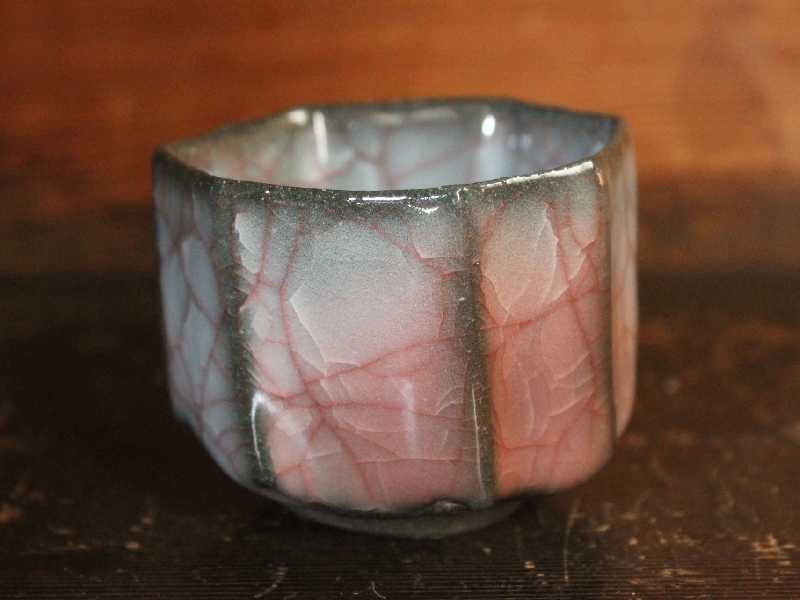 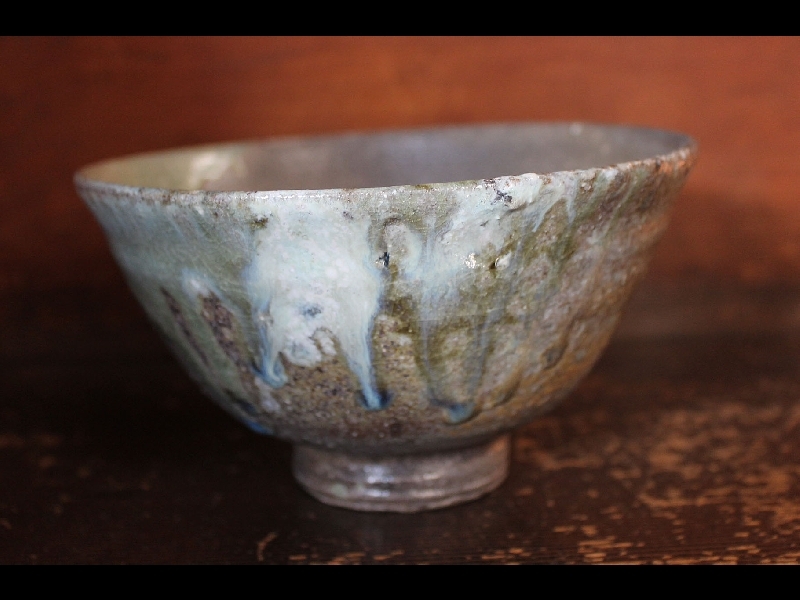 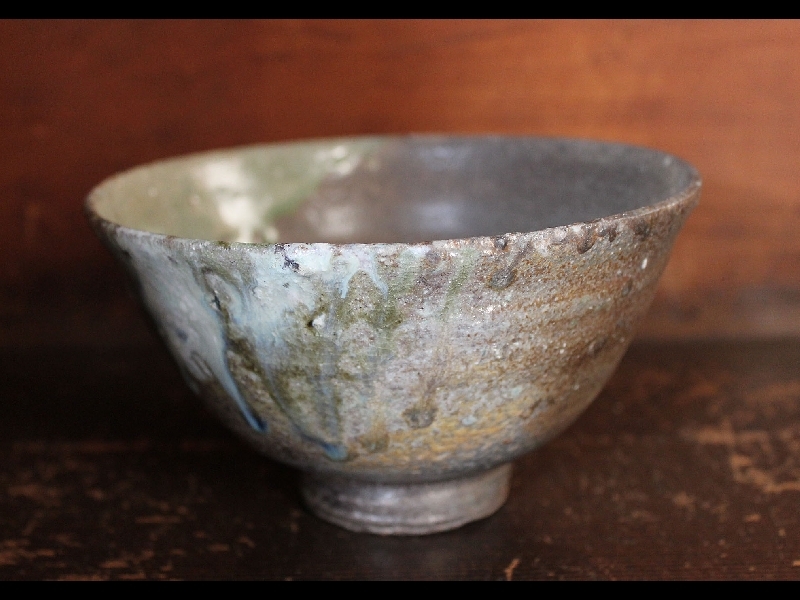 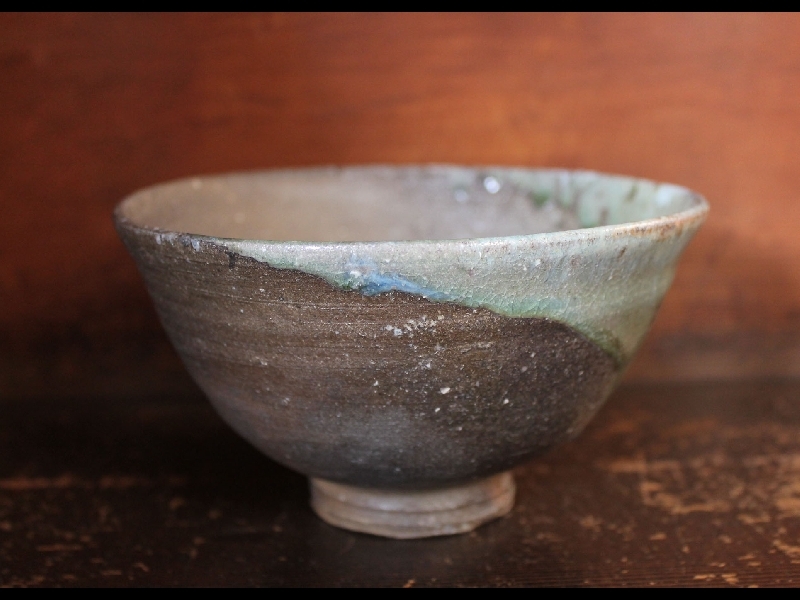 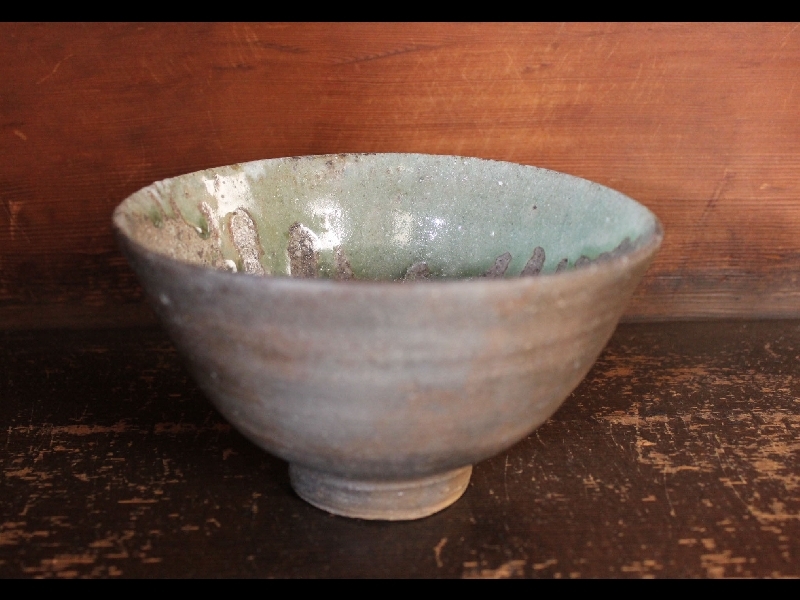 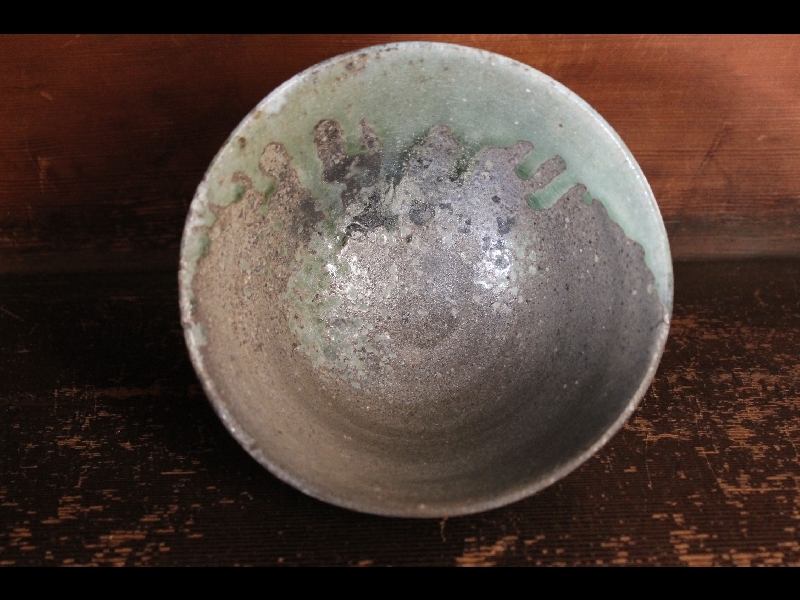 Here is a superbly-fired and lightly thrown Ido form Tokoname chawan by the Ezaki Issei(1918-1992); more about this hidden legend in our archives. 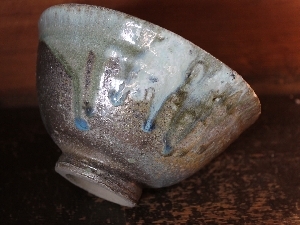 In perfect condition with a signed box, 8cm.tallx15cm. 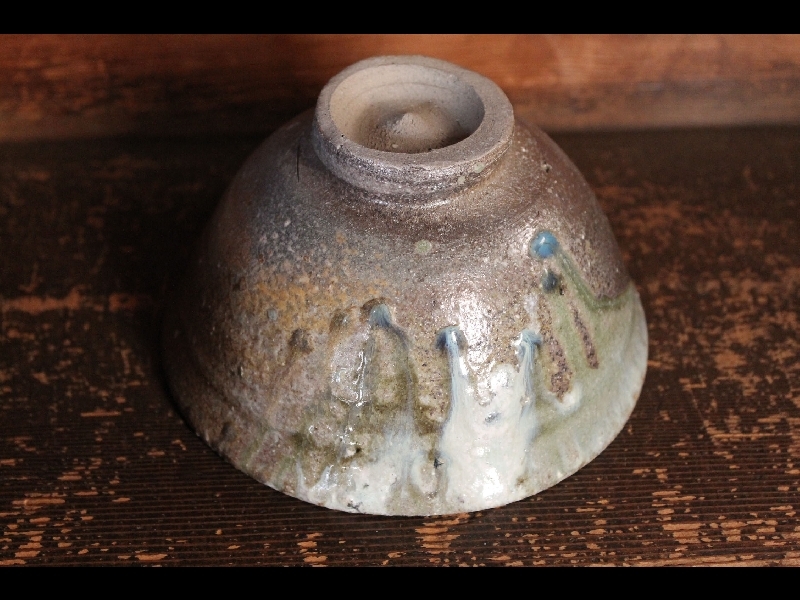 signed on base.